Looking for new website with a competitive edge that is mobile friendly and optimized for higher conversions? 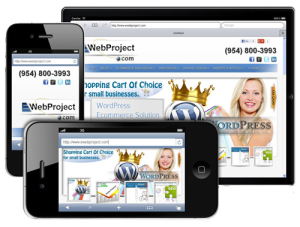 A RWD website (Responsive Web Design) and you are in Fort Lauderdale Florida? Then you have found the right place. The quality of our work is unmatched, our competitors cannot compare to our quality of work and unbeatable prices. Our prices for a RWD website (mobile friendly – responsive layout) are very competitive for WordPress or Magento websites. Responsive web designs that are not only user friendly but also easy to manage for the business owner or marketing manager. Ewebproject is a local, web design Fort Lauderdale firm, has over 15 years of experience with web development, programming, online marketing and we are one of the few companies that offer fair pricing in Florida. With a mobile ecommerce web design, you will get a functionality that customers will appreciate and use, especially now, when mobile devices like cell phones and tablets are more common to use to access internet than computers. With this type of design, you will get shopping cart products and categories not only displayed correctly on mobile devices but also possibility to purchase them. If your website is not mobile responsive then you have a website that is not modern and able to keep up with the masses. Let’s face it, everyone uses a smart phone now a days. Without a mobile friendly website, you are going to lose out on opportunities which ultimately lead to a website with a high bounce rate. A bounce rate is the rate at which visitors leave your website without ever navigating to another page after entering it. If someone is using a Blackberry phone, your website is going to be extremely difficult to navigate, the average user is going to leave your website and go to your competitor who may have a mobile responsive site. Just like that, you can lose out on a new acquisition because your website is not mobile responsive. Our Fort Lauderdale web design company can provide you with a free consultation today. Fill out our form on our contact us page to receive a call from a highly experienced developer who can help you turn your idea into a reality. Whether you need a simple landing page developed or a robust shopping cart site, we can help you. Modern websites that can keep up with the technology used by the masses will excel in today’s competitive world and it’s no secret that desktops are becoming thing of the past. With tablets and smart phones taking over the world, it’s crucial that website owners adapt to this type of change if you are looking to monetize from your online presence. 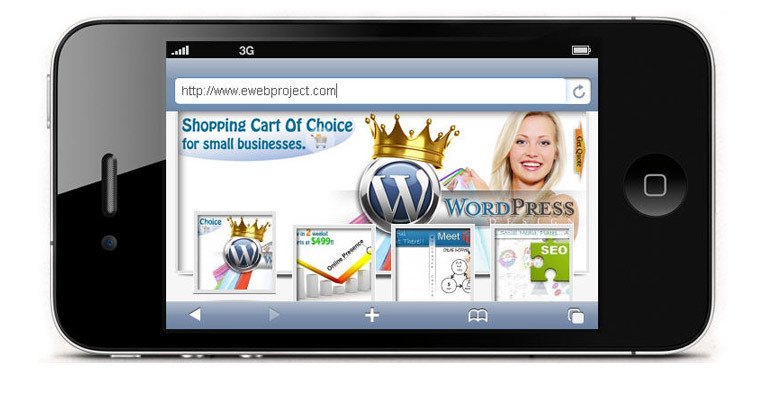 Ewebproject understands the importance of having a responsive website which is why we don’t build websites without ensuring that they are 100 percent responsive and compatible with all browsers, operating systems and screen size. Ewebproject is not only a company that offers web design, we also offer a variety of other services like web consulting, analytics, custom programming, app development, search engine optimization and more. We are based out of South Florida and we have been in business for over 10 years. Make sure to follow us on Facebook and Google Plus to learn more about our specials and news!